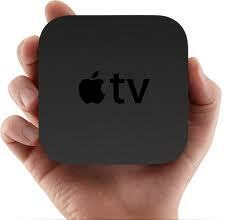 Today Time Warner Cable released a new version of its TWCable TV app for iPad. There are a few new tweaks, but little about which to get excited except for the hearing impaired and the lawyers. According to its blog post, TWC is providing 3 new features in this version: "basic" search (for shows by title), closed captioning and parental controls to block live viewing of certain channels on the app itself. In other words, nothing too dramatic. Closed captioning is interesting because in addition to the benefits to the hearing-impaired iPad users, it was one of the things cited by Viacom in its since-dropped legal action against Time Warner Cable as a difference between a TV set and the iPad app. For my account, there are no new channels available unlike the last iPad app update which added 15. There are still 87 channels the only change I noticed was that the app now has the HD feed of Cooking Channel SD feed. Of the 87 channels, 21 are now SD and 2 of those are 21 are services carried in HD on the system (Bloomberg and Sundance). This is version 2.5.4474 of the app. Sezmi announced earlier this week that they are suspending consumer service. This adds another company to the carnage of trying to compete with cable (and DBS) head-on with an incomplete service (see USDTV, Voom and MMDS more generally). Sezmi started with grand ambitions, but realized few of them. The initial vision was the create a super set-top box that would unite cable networks and Internet video content. The cable networks would be transmitted via unused digital broadcast spectrum (similar to USDTV) and VOD content would be delivered via the Internet. 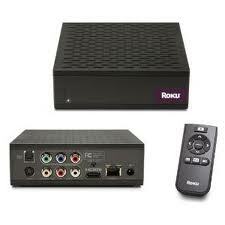 The box itself would have a large-capacity, sophisticated DVR. The Internet portion of the service is the strategy that TiVo has embraced without huge success and they started with the best DVR in the world. Sezmi had basically two tiers. After you bought their proprietary hardware (for $149-299 depending on when you bought it), the basic service was $5 per month and got you over-the-air broadcast stations and access to Internet-delivered VOD (some free, most paid). In other words, buy our hardware and then get something that usually costs nothing (free broadcast and the right to buy transactional VOD). That's not a great start on value. The cable networks that Sezmi offered (via the Select Plus service for $20 additional above the basic package) included Animal Planet, Bravo, Cartoon, CNN, Comedy Central, Discovery, MSNBC, MTV, Nickelodeon, Oxygen, TBS, TCM, TLC, TNT, USA and VH1. The smattering of channels did not suggest targeting of any particular audience. As HD became increasingly popular, having only the SD feeds of cable channels became increasingly less attractive. As USDTV found, relying on the broadcast spectrum meant capacity for linear channels was inherently very limited, making the selection of channels even more important. To a large extent, Sezmi's hand may have been forced by the top programmers who typically bundle their channels together. Few customers think about what they like as "Viacom's channels", "Turner's channels" or "NBC Universal's channels". Lack of focus is a problem for multichannel competitors -- if you are not going to be all things to all people, you better be able to superserve a niche. The "who is the target" issue was not confined to its cable network selection: the limitation of SD cable networks suggests a low-end TV target, but Sezmi's high-capacity (1TB) DVR was a notably high-end item. I started to think the Sezmi was going about things the wrong way when they hired Perry Simon as head of content. He was a former NBC programming executive. In other words, he's someone who knows about acquiring individual programs. Sezmi, however, was in the multichannel distribution business. It seemed like an odd fit. With multichannel distribution at about 90%, there is probably not a lot of the market that is interested in multichannel service that does not already subscribe. A service that is supposed to save money will have a tough time competing with low-cost "introductory" offers from triple-play providers. For someone looking for an alternative to cable TV, to pick one, the "old Netflix" with a $60 Roku box and a $9.99 per month 1-DVD-plus-streaming subscription and an over-the-air antenna was a less expensive, more flexible and easier-to-understand solution. Sezmi made other missteps, well documented by Ryan Lawler at GigaOm. The Los Angeles Times noted in its article on the company's retreat from the consumer business: "What made Sezmi promising was that, like the satellite operators, it had found a way to eliminate the investment in wires. But it's hard to compete with cable if you can't offer a complete alternative, and Sezmi's channel lineup had a lot of missing pieces." When I first got my Roku box I felt some of the giddy sense of possibility I remembered from my first use of the World Wide Web back in the 1990s. Here was an entirely open, easy to use platform that could bring any kind of content to my television. I thought that this box could have a real impact on the television business. That's not to say that the Roku doesn't have drawbacks. The setup is not hard, nor is adding channels, but the process is a bit arcane. The video quality fluctuates, at least over my wifi and cable modem. However, the biggest user experience clunkiness relative to a multichannel video subscription is that it is difficult to switch between programs both within the Roku environment (e.g., between Netlfix and MLB.TV) and between the Roku environment and cable. Channel surfing is the way many people watch ad-supported television, particularly live television. If I'm watching a baseball game from MLB.TV and it is in commercial, I'd like to catch a few minutes of one of the things in my Netflix queue. Last night it took me 10 button pushes to get there and another 8 button pushes to get back. (The problem would be worse if I had not moved MLB and Netflix to be right next to each other on the channel lineup -- tip: use the * button to do that). The reason it took so many clicks was partially a function of how far down the list my baseball game and Netflix show were, but I can't control that. Oh and each time a new app or program loads, that takes some refresh time. In short, it isn't a very good experience. For all its well-deserved user-friendliness, the not-open, but otherwise similar Apple TV, is no better in facilitating, er..., stream surfing. A bookmarking system would seem like an easy way to solve this. Perhaps this functionality needs to sit in the operating system level -- I don't know, I'm not a software developer. I do know that consumers would find it valuable. The second problem, switching between the Roku environment and cable (or DBS or over-the-air) is a thornier one. If the geniuses who developed Google TV used an IR blaster as the way to solve the problem, that's not a good sign. IR blasters are notoriously finicky (Nilay Patel: "It's really simple: any product that requires IR blaster control of a cable box is doomed to fail.") We are awaiting a better solution. In the event that cable and broadcast programming is available over-the-top (e.g., Bamboom, ivi or maybe even via TV Everywhere), maybe the second problem doesn't have to be solved, but the first one deserves some immediate attention. From a different perspective, a cable set-top box that brings in over-the-top apps would seem to have an enormous head start at solving both problems and creating the best user experience.